Department of Psychological Sciences, Birkbeck College, University of London, Malet Street, London, WC1E 7HX. 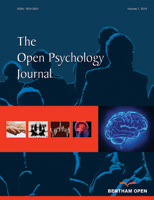 This article traces the philosophical and psychological connections between causation and the conditional, if… then, across the two main paradigms used in conditional reasoning, the selection task and the conditional inference paradigm. It is argued that hypothesis testing in the selection task reflects the philosophical problems identified by Quine and Goodman for the material conditional interpretation of causal laws. Alternative formal theories to the material conditional only became available with the advent of possible worlds semantics (Lewis, 1973; Stalnaker, 1968). The relationship proposed by this semantics between counterfactual and indicative conditionals is outlined and it is concluded that moving away from the abstractions of possible worlds proposes a central role for prior knowledge in conditional inference. This conclusion is consistent with probabilistic approaches to conditional inference which provide measures of the strength of a dependency between the antecedent and the consequent of a conditional similar to those proposed in causal learning. Findings in conditional inference suggest that people are influenced not only by the strength of a dependency but also by the existence of the structural relationship, the broader causal framework in which a dependency is embedded, and the inhibitory and excitatory processes like those required to implement Causal Bayes nets or neural networks. That these findings may have a plausible explanation using the tools of current theories in causal learning suggests a potentially fruitful convergence of research in these two areas.